If you are in need of immediate support and care, please call your local emergency support hotline or get admitted to the local hospital. The idea is to move forward in love and be congruently happy when thinking about the loss of your child. Steve and Connirea Andreas found through interviews with bereaved people that those who had the most resourceful response to loss showed a strong sense of the person they lost being fully present with them in the moment. This goes hand in hand with the theory of continued bond. In this model you find ways to adjust and redefine your relationship with your child, allowing for a continued bond that will endure, in different ways and to varying degrees throughout your life. Rather than assuming detachment as a normal grief response, continuing bonds considers human attachment natural even after death. What would your child prefer you to do and be? Even though you might question your resilience, given that you’re reading this is a testament to your willingness to move forward, which shows you are resilient. 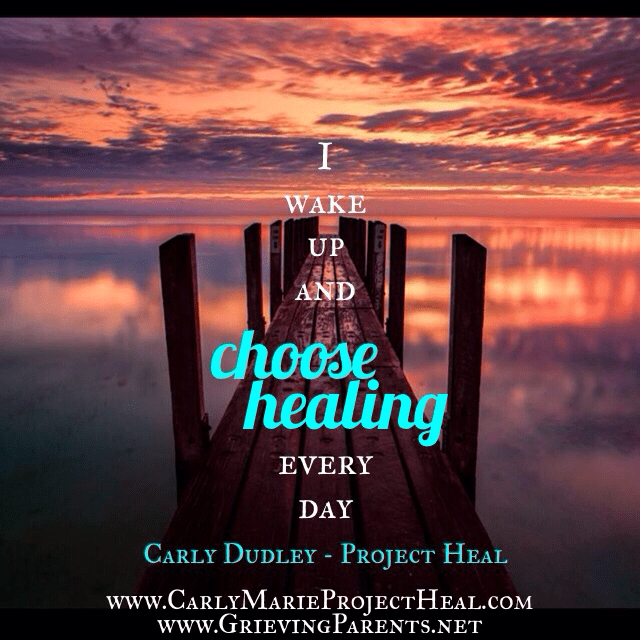 Continue reading in Chapter 10 of Grieving Parents: Surviving Loss as a Couple.